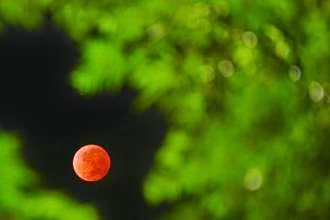 Night owls and early risers in North America watched the rare celestial event on Tuesday as the Earth’s sunset-hued shadow fell across the moon, shifting its colour to bright orange. Images of a total lunar eclipse in the Americas. View more pictures of the 'blood moon' here.